Enter your requirements and let us return a short list of best fit packages that are available. At Ironline, we have over 70 years understanding the needs in the natural gas compression industry that is continuously innovating. We can provide you with experience in the natural gas compression market in Canada, delivering quality products and services on time - this is our commitment to you. We align our services to meet what you need, providing you with natural gas compression solutions in Canada. Alongside gas compression rental and sales, we also offer parts and services on natural gas engines and compressor. Ironline can assist you with technical support and emission solutions. We work closely with the OEM’s to provide real solutions to reducing NOx and CO2e on gas compression equipment. Ironline provides customers across Canada with natural gas compressor rental and sales from a variety of manufacturers. Our fleet is extensive, featuring equipment that includes small to large horsepower reciprocating and rotary screw packages. 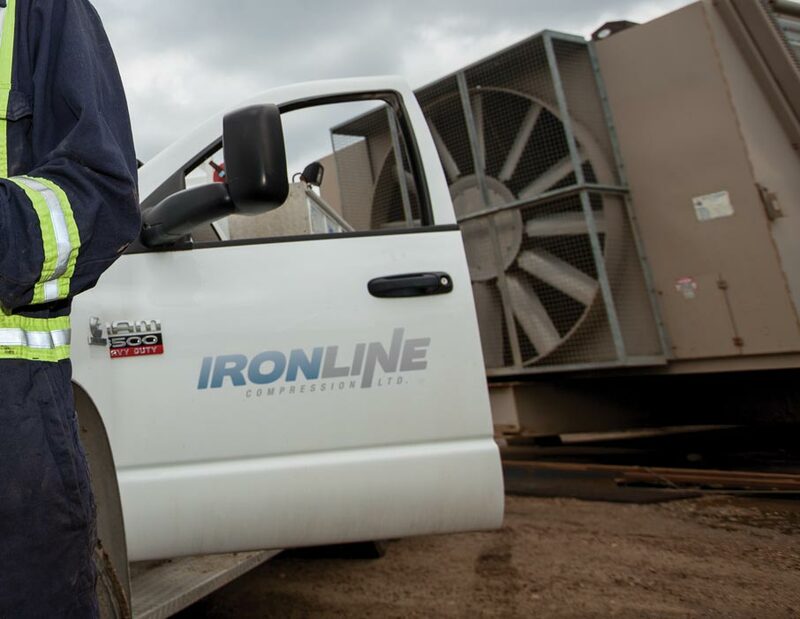 It doesn't matter whether you have long or short term needs for new or used natural gas compressors in Canada, Ironline is the right source for you. Brake Horsepower = 22 * (ratio/stage) * (Number of Stages) * ( MMSCFD) * (F) where F = 1.0 for a single stage, 1.08 for a two-stage and 1.1 for a three-stage. Looking to sell your gas compressor package? Consider consigning your equipment on our website with industry leading traffic for expansive visibility to generate leads for your equipment. Contact us for details. Ironline would love to hear from you. We have two locations in Calgary and other locations across Canada for your convenience. Give us a call today and see how we can help. The leading provider of gas compression solutions and mechanical service to the Canadian energy industry. Ironline wants to be your competitive advantage in the Canadian natural gas compression industry. Ironline has compression solutions to support your business. With a commitment to doing it right the first time, our services can be aligned to meet the individual requirements of your business, no matter how complex or challenging. Looking to the future, we see Ironline as a well positioned company in Canada. Our capabilities are built upon the strength of our people’s experience and expertise; supported by world-class OEM products; and the availability of a large gas compression fleet for your business needs. Our vision is to provide you with unmatched customer service. Driven by our core values to earn your trust; who we are, what we value, and how we do things, sets us apart. 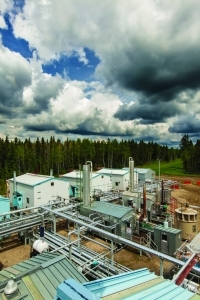 GAS COMPRESSION SOLUTIONS TO THE CANADIAN ENERGY INDUSTRY.